Car service center in Ballia by MahindraFirst Choice Services. 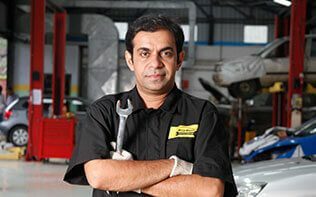 Get best car servicing experience. Address: C/O. Shanti Kunj, Near Radha Govind Hospital (Opp. Aroma Garden Marriage House), Ghar Road, Meerut. Name: Shanti Sudama Motors Pvt. Ltd. Address: NH-233, Plot No-133 B, 114 Chak kharullah, Azamgarh. Ph:8765140011.